You’re building a life together. You know you were made for one another. 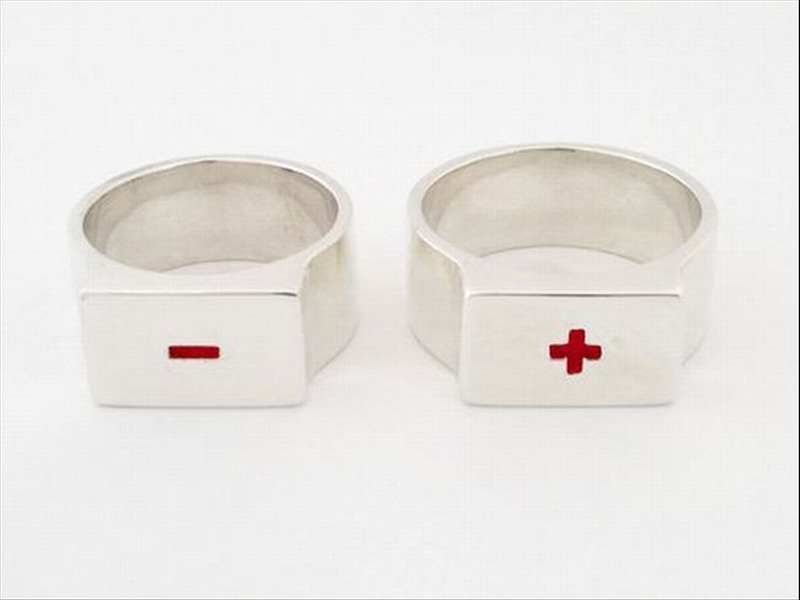 Shouldn’t your wedding rings be as unique as what you’ve found together? Don’t settle for a mass produced ring. 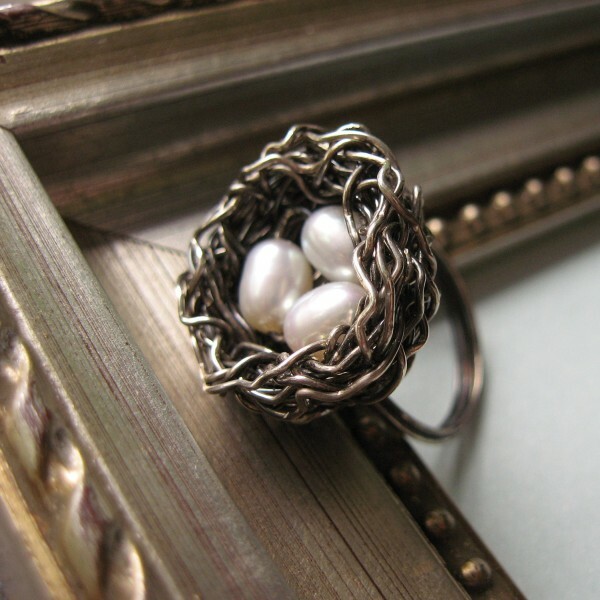 Get the ring worthy of the love you share; a handcrafted ring. In ancient Rome, there were several types of recognized marriages, categorized by social class. They included Usus, Coemptio, and Confarreatio. Usus was an informal union reserved for the lowest class. It is often compared to today's common law marriage. Coemptio was a marriage that involved purchasing one's bride. While historians believe this was symbolic and not a true sale, fathers were paid for the hands of their daughters. Confarreatio was reserved for the elite class and was the only legal form of marriage at the time. This union was officiated with the groom presenting a ring to his bride. Most rings were made of iron, which led to the tradition of metal wedding rings. Unlike the Egyptians' symbols of love, however, historians believe the Romans viewed these bands as symbols of possession. The wife now belonged to the husband. 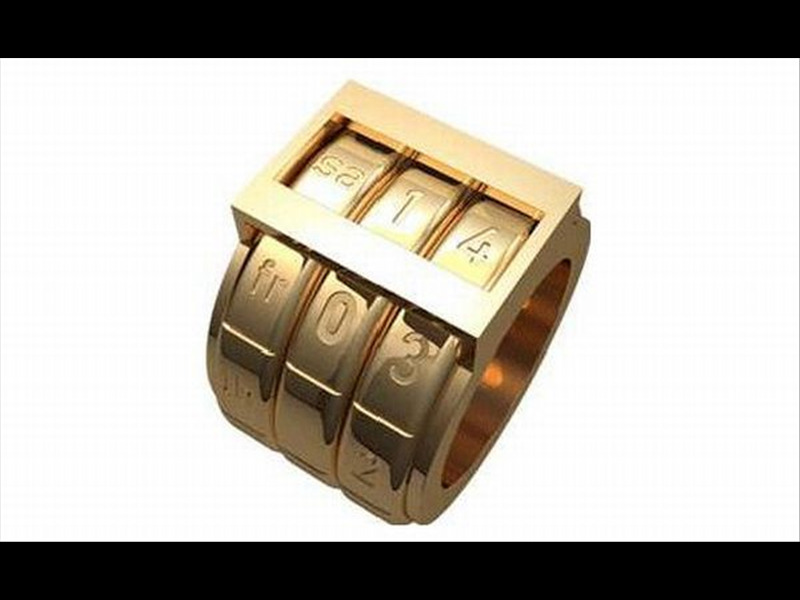 Origin of the Finger Ring. The story of the finger ring is in a way like the ring itself, without beginning and without end. No one can tell for certain how far back the ring goes. Finger rings appear to have originated with the ancient Egyptians, evolving from the seal or signet. Because the seal was a sign of power, the wearer of a portable seal, a signet ring, was regarded as a person of great authority. A royal personage wishing to delegate his power to one of his officials, would hand him his signet ring. This would enable the subordinate to issue commands with full royal authority. We find a good example of this practice in Genesis 41:42: "Then Pharaoh took his signet ring from his hand and put it on Joseph’s hand" (cf. Esth 8:2). It wasn’t until World War II that men in America started to wear wedding bands. As men faced lengthy amounts of time away from their wives, they began to adorn their own hands with a ring to remind them of what they had waiting for them back home. It stole away from their sense of loneliness and gave them much-needed hope and a reason to live. Many people attribute Marilyn Monroe with the line “Diamonds are a girl’s best friend” and her influence on the culture this phrase emits. Surely she played a role in popularizing diamonds, but the origin of the phrase and culture surrounding it in recorded history goes back to 1477. This is when the first diamond engagement ring that we know of was given. Archduke Maximillian of Austria made Mary of Burgundy swoon with what was nothing more than a very aged piece of coal. During this time period though, diamond engagement rings were only common among royalty and the wealthy. It wasn’t until the late 1800s until many new diamond mines were discovered and the price of diamonds dropped dramatically, becoming more affordable for the average couple. And it wasn’t really until the 1930s that diamond engagement rings became very popular. Because the diamond is the strongest material on earth and among the most precious, the stone became an important family heirloom able to be passed down from one generation to the next. Today, diamond engagement rings make up roughly 80% of all engagement rings purchased in the United States. -The youngest engagement ever recorded happened in 1518 between the arranged betrothal of Princess Mary, the daughter of Henry VIII to the then infant Dauphin of France when she was just two years old. 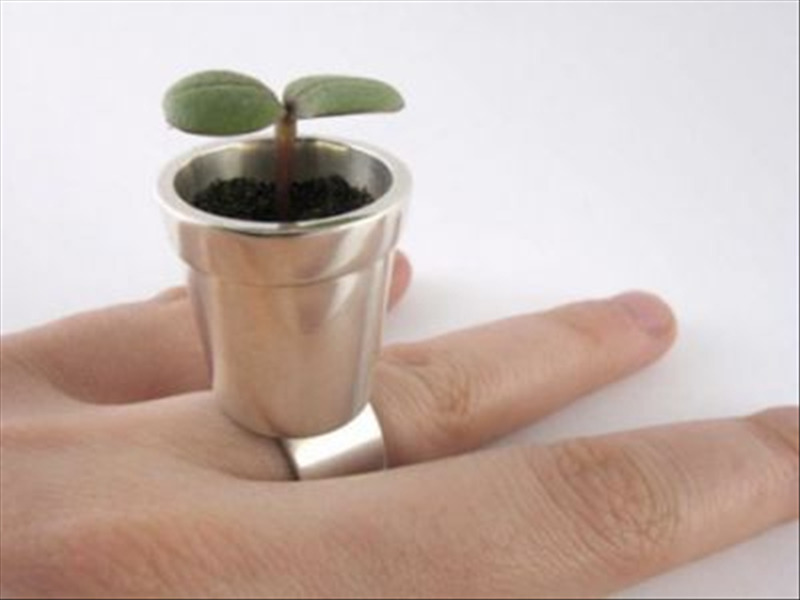 The smallest engagement ring ever! -The Count of Monte Cristo proposed by giving his sweetheart a string, which he tied around her finger. Well, in some parts of continental Europe it is and always has been the right. There doesn’t seem to be any particular reason that the Christians should have mostly kept this the same as the original. But one thought is; as the man, facing his bride, reaches straight out with his right hand (most people are right handed) he naturally touches her left. As she does his, as now, with more and more men wearing one also, when the rings are exchanged. This is a modern practice begun mostly during the second world war, a consequence of increased numbers of men being separated from their loved ones and seeking a cheering reminder. This almost happened earlier in history, with the advent of the gemmal ring, alternatively spelled gimmal or gimmel. This was two or three decidedly ornamental links, usually with hands and hearts or knots, fastened together by a hinge, or interlocking like the Olympic rings, and being capable of joining into one. At betrothal, they would be separated, with one given to the woman, one kept by her lover, and if present, the third held by a witness until the wedding day when all would be reunited and henceforth kept by the bride. Back to fingers though, and the thumb briefly challenged the accepted norm in Elizabethan days as fashionable ladies deemed to wear their wedding rings there, but this did not last and so today it is as it was in the beginning, just like a circle really, or a ring. In 860 AD, Pope Nicolas I decreed that an engagement ring become a required statement of nuptial intent. He insisted that engagement rings had to be made of gold, which signified a financial sacrifice, by the prospective husband. An engagement ring containing your birthstone is said to bring good luck.Although commonplace today, it was not until the 16th century that men consistently began to wear wedding rings. In America, the double ring ceremony gained importance after World War II, symbolizing love and partnership in marriage. Why Wedding Rings On The Right Hand in Russia? "It has always been the tradition of the Church to place the wedding ring on the right hand of the couple based on biblical references. This is seen very clearly in one of the prayers in the Betrothal Service. A portion of the prayer refers to the biblical references: “For You, O Lord, have declared that a pledge is to be given and held inviolate in all things. By a ring Joseph was given might in Egypt; by a ring Daniel was exalted in Babylon; by a ring our heavenly Father showed compassion upon His prodigal son, for He said, ‘Put a ring upon his right hand, kill the fatted calf, and let us eat and rejoice.’ Your own right hand, O Lord, armed Moses in the Red Sea. By word of Your truth were the Heavens established and the earth set upon her sure foundations; and the right hands of Your servants shall be blessed by Your mighty word, and by Your uplifted arm.” As we see, it was scripturally the practice to wear rings on the right hand, the hand of authority and power completing the pledge of commitment. The power and authority comes from the right hand of God. The practice of wearing rings on the left hand is rooted in superstition that says that there is a vein that goes from the left hand directly to the heart. This medieval superstition, like many others, was brought to America from Western Europe no doubt. Unfortunately, too many people today just follow what the majority in society do without truly understanding its meaning. Hopefully, with education and faith we will maintain the richness and meaningfulness of the Orthodox faith." In Norway, Russia, Poland, Germany, Austria, Denmark, countries of former Yugoslavia and in Spain (except in Catalonia) the wedding ring is worn on the ring finger on the right hand.In the Jewish wedding ceremony, the groom places the ring on the bride's index finger, and not ring finger; the ring is usually moved to the ring finger after the ceremony.In the Indian tradition, the right hand is considered as auspicious. Hence the wedding ring is worn on the right hand. However, despite tradition, some believe in wearing the ring on the left hand, matching western cultural practice. But wearing it on right hand is the appropriate method. A generation or two ago, a British prince choosing not to wear a wedding ring would have barely drawn comment. But the headlines that followed that decision by Prince William show that rings for husbands are now the norm. William's decision not to wear a wedding ring isn't unique even in his own family. Prince Charles does wear one - next to a signet ring on the little finger of his left hand - but the Duke of Edinburgh does not. Those contrasting decisions may to some extent be considered a product of the times in which William's father and grandfather were each married. Early Celtic rings were made of hair. The bride and groom would weave locks of their hair together into a braid and the bride would wear the ring as a token of their commitment to each other. Puzzle rings, called a Gimmel, were popular engagement/wedding rings in the 15th century. The Gimmel ring consisted of two or more interlocking rings, joined by a pivot, so they could slide together to form one ring (symbolizing the union of two lives). The most popular Gimmel ring depicted two hands and a heart, which symbolized faith, trust or plighted troth. When all three rings were joined, the hands clasped over the heart. This variation of the Gimmel ring was called a Fede (Italian for faith) ring. One part of the ring was given to the bride as her engagement ring, the groom-to-be and the witness of the engagement ceremony kept the second and third parts of the ring. At the marriage ceremony, all three parts would be reunited on the bride’s finger. The Claddagh ring, a version of a Fede ring, became popular in 17th century Ireland and remains popular to this day. It depicts two hands holding a crowned heart, symbolizing "Let love and friendship reign". The Claddagh ring is considered the traditional Irish wedding band. During the Renaissance and throughout the 18th century, sterling silver poesy rings were popular wedding bands. Poesy rings were engraved with mottoes or verses, mostly with a religious or romantic overtone. At the same time poesy rings were popular, the Puritans were renouncing wedding bands, because they considered jewelry frivolous. Colonial Americans often exchanged thimbles during the wedding ceremony, Thimbles were acceptable to the Puritans because they were viewed as a practical item. After the wedding, the women would slice off the bottom of the thimble and created a wedding band. During the Victorian and Edwardian eras, wedding bands were engraved with intertwined hearts, flowers, intricate leaves and delicate filigree. In the 1920′s and 1930′s, the art deco movement introduced styles focusing on bold colors and geometric shapes and became a popular wedding ring style. Today, wedding rings can be made of gold, silver, platinum or a combination of two or more metals. Look at your left hand, the hand that your wedding ring goes on, and do you see your thumb? Well the thumb represents your parents. Now your index finger, or your first finger, represents your siblings. The third finger, loving called the middle finger by some, represents yourself. Where the fourth finger represents your life partner. And your pinkie is to represent the children you will some day have. Customary in earlier ages, many mates were chosen and agreed upon by the families of the bride and groom. Princess Mary, daughter of Henry VIII, was betrothed to the infant Dauphin of France, heir to the throne of France, when she was only two years old. The engagement, which took place in 1518, resulted in a gift of a diamond set in a tiny gold ring. This was the smallest engagement ring ever recorded. During the rule of Louis XVI, from 1754 to 1793, the popular engagement ring style included a diamond cluster shaped like a long, pointed oval. These remained quite popular for the next 150 years. Diamonds and rubies, signifying eternity and love, were commonly combined in rings used in the 17th and 18th centuries. Styles also featured many heart patterns, a popular symbol during that time. In the 18th and 19th centuries, colored stones still remained quite popular in engagement jewelry. Themes used in many rings would include several stones which spelled out a word or name with the first letter of each stone. For example, “dearest” would be represented in a ring containing a diamond, emerald, amethyst, ruby, epidote, sapphire and turquoise. Serpents were considered a symbol of good luck, and used in many engagement rings in the same time period. Queen Victoria was given a ring using this motif. Solitaire settings, as one of the most popular styles of engagement rings, were not introduced until the late 19th century. In the early 20th century, the “princess ring”, which features multiple diamonds, became popular in the U.S. This served as the original influence for the currently-popular three-stone style. Platinum became the metal of choice in the early 20th century for engagement rings due to strength and durability. Later, during World War II, white and yellow gold was used for bridal jewelry because platinum was restricted to military use only. The retail fantasy known as a "traditional" American wedding comprises many delicious absurdities, ranging from personalized wedding stamps to ring pillows designed for dogs to favors like "Love Mints." Of all these baubles, though, perhaps the most insidious is the engagement ring. Most Americans can say no to the "celebrity garter belt" on offer for a mere $18.95 from Weddings With Class. But more than 80 percent of American brides receive a diamond engagement ring (at an average cost of around $3,200) before they get married. Few stop to think about what, beyond the misty promise of endless love, the ring might actually signify. Why would you, after all? A wedding is supposed to be a celebration. Only the uncharitable would look a sparkly diamond in the eye—never mind a man on his knee—and ask what it means.